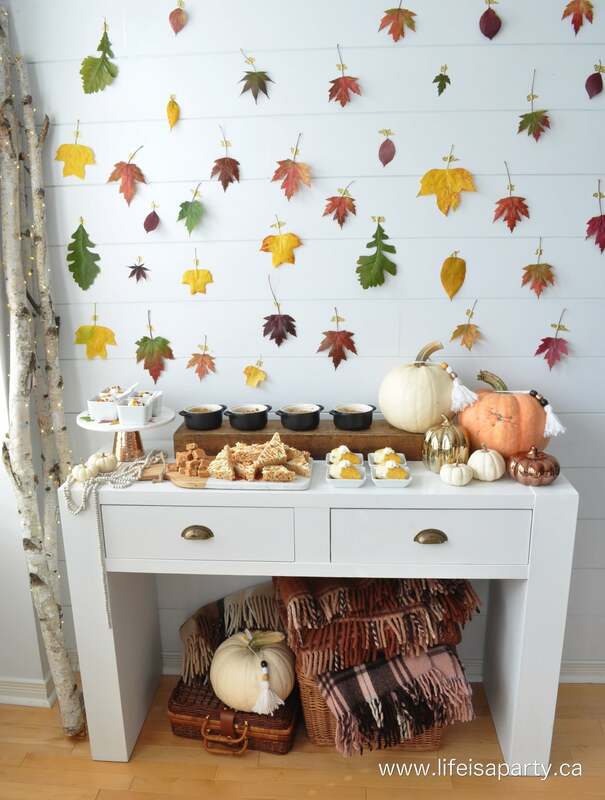 Yesterday I shared an amazing Fall Thanksgiving Dessert Table -you can read about it here. 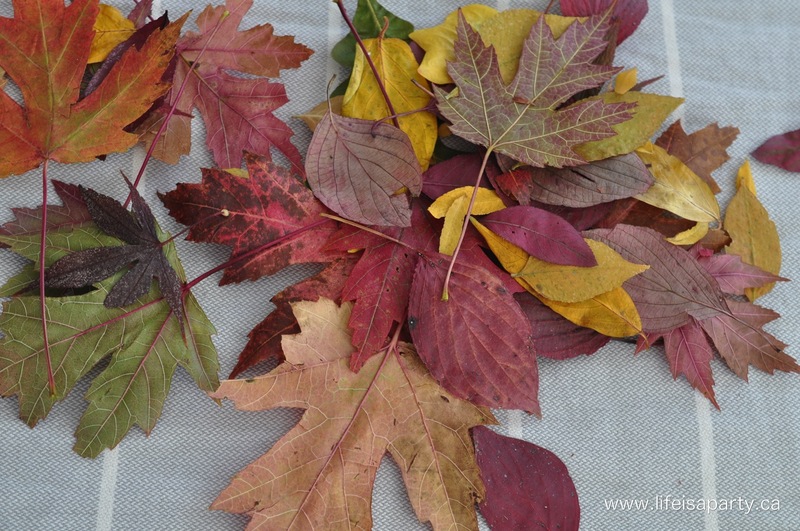 One of my favourite elements of the whole dessert table was the amazing Fall Leaf Backdrop. 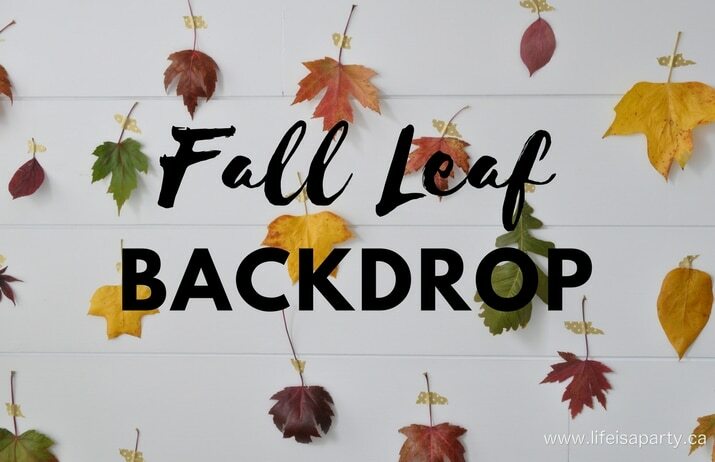 This backdrop worked for a Dessert Table Backdrop, but it would also be great as a backdrop for any buffet, or for a photo booth at a wedding, shower, or party. 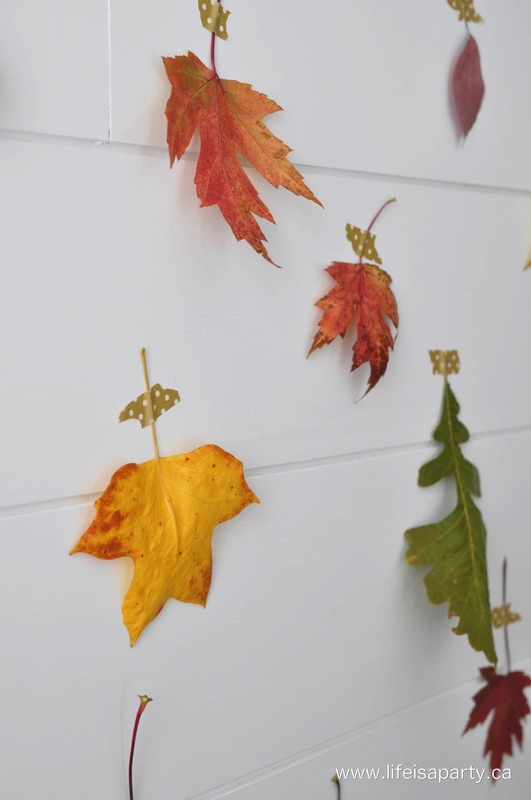 It would also look great as part of your fall home decor. 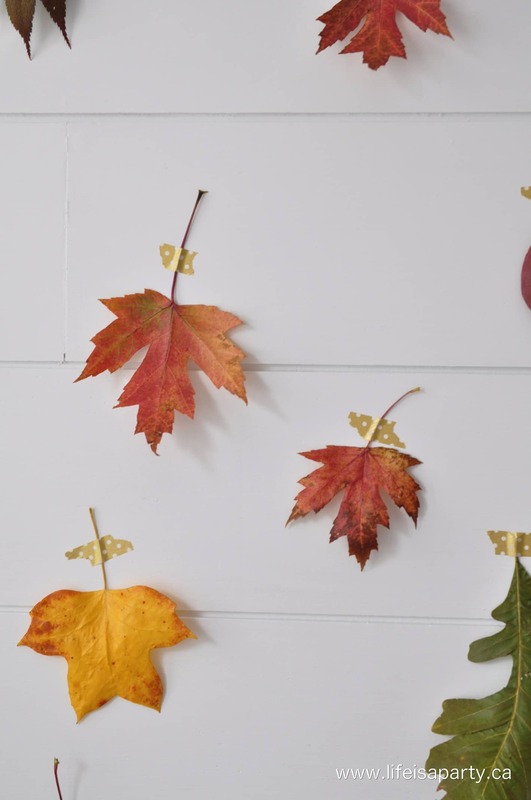 And this Fall Leaf Backdrop is really easy to make. 1. First you’ll need to collect some fall leaves from your neighbour. As soon as you get home press them in a heavy book. They will start to curl up right away if you don’t press them flat. Put them in a single layer, between book pages, and then close up the book and put a weight on top. 2. 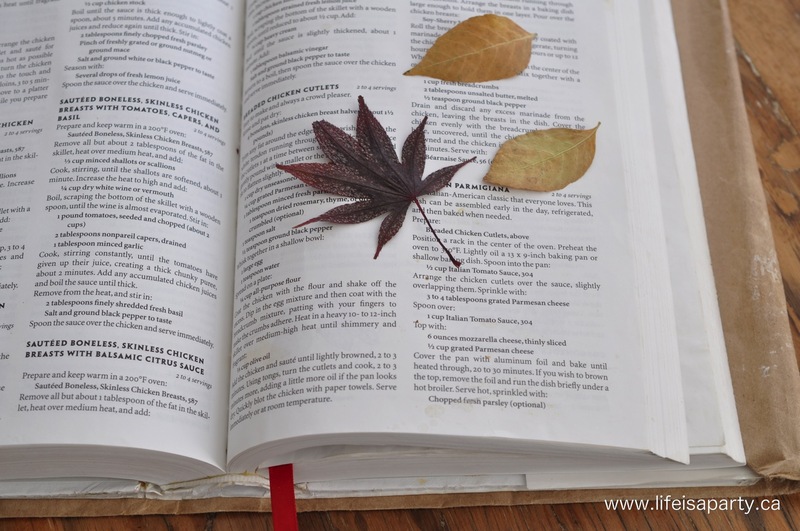 After your leaves have been pressed overnight, or for a few days it’s time to wax them using simple wax paper. The wax will help preserve them, and make them a little more shiny. Heat up your iron to the cotton setting, and turn off the steam. 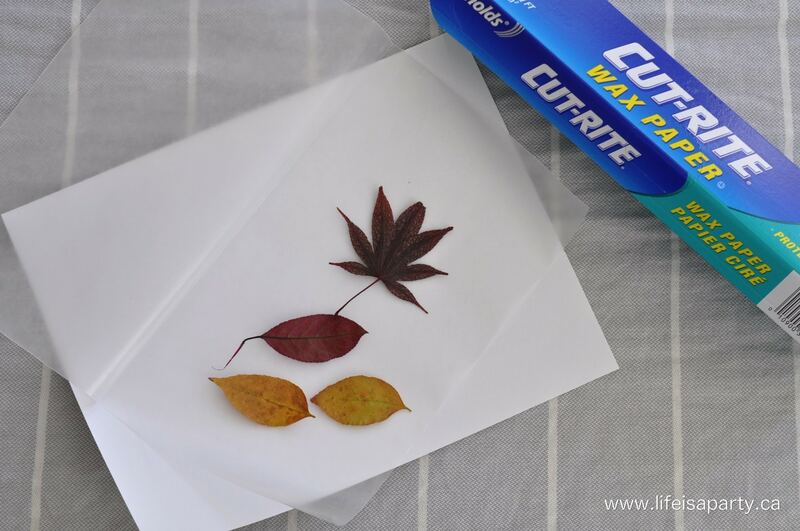 Fold a piece of wax paper in half and put the leaves in single file inside. 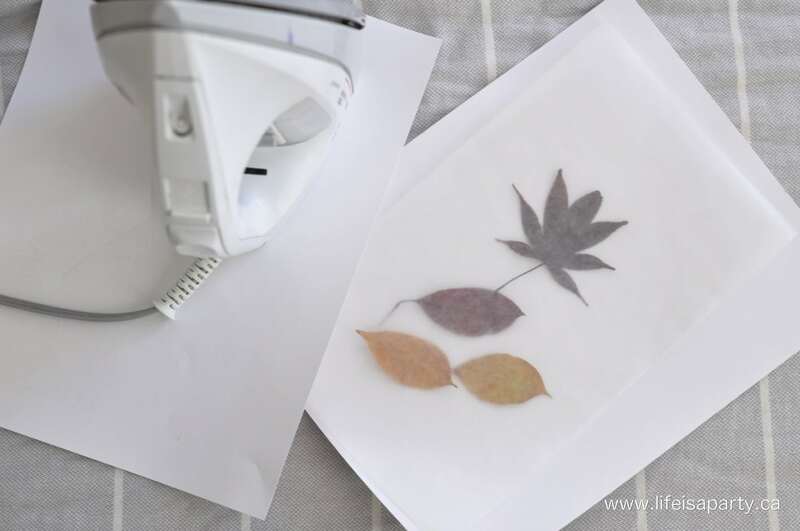 Use some paper on the top and bottom of the wax paper with the leaves to protect your ironing board and iron from the wax and then iron them for a few seconds. 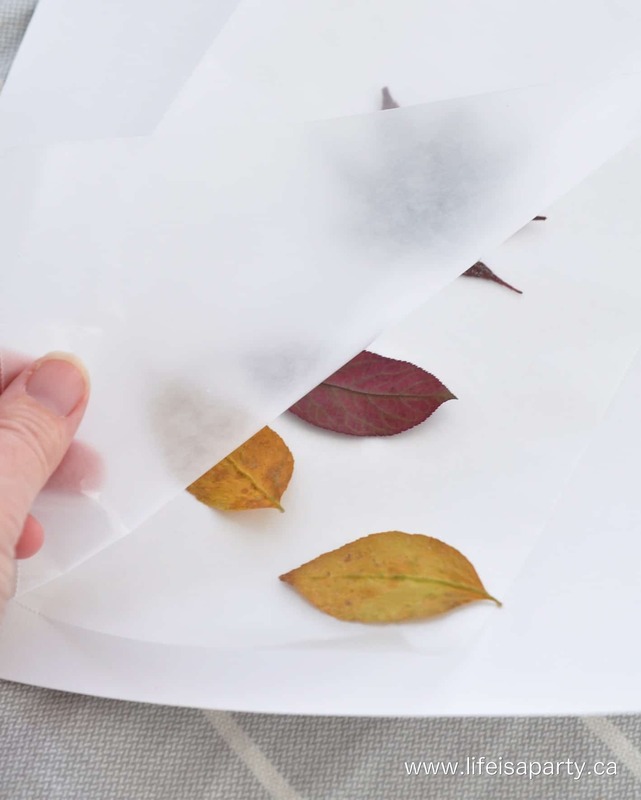 Remove them from the wax paper and they’re all ready to use. 3. 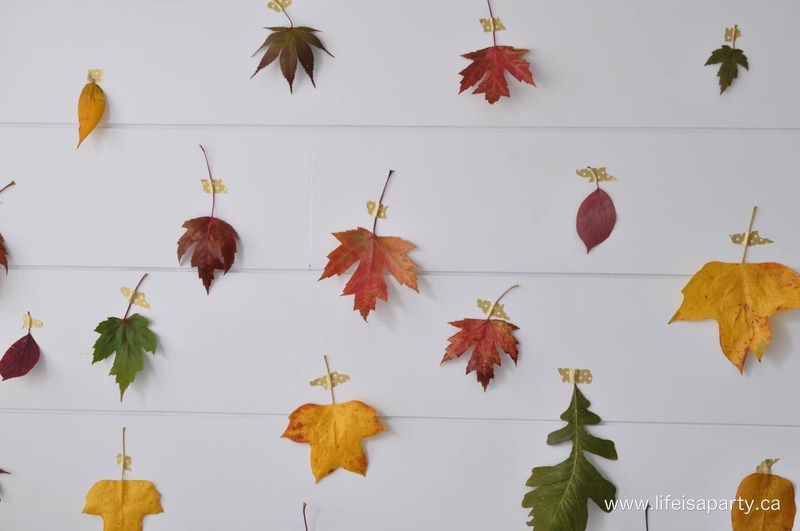 To create your backdrop, use some washi tape to attach the leaves to your wall. Washi tape works well because it’s paper and easy to tear, not too sticky so it won’t damage your walls, and comes in lots of pretty colours. I placed them in a random pattern, but you could do rows or any pattern you like. 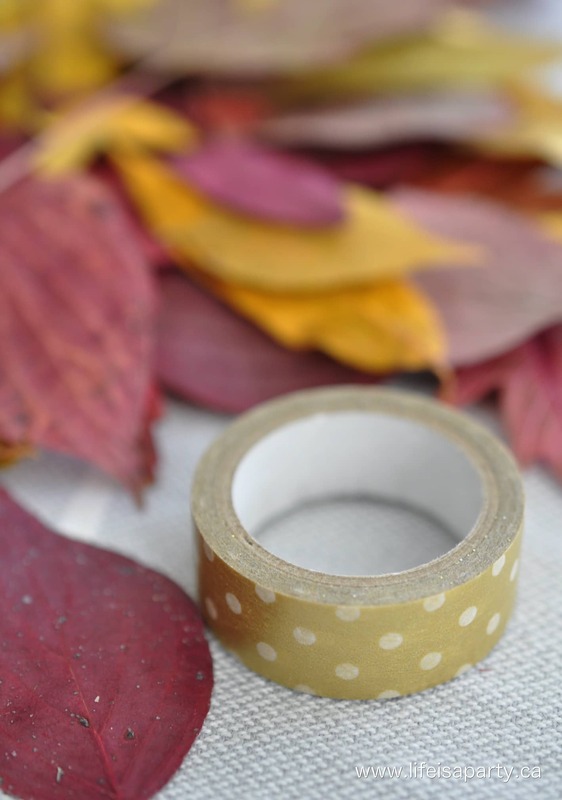 This backdrop is really inexpensive to make -just some wax paper and washi tape. It takes a little time to put together, but has BIG impact. It’s really perfect for any fall entertaining. With a Fall Leaf Backdrop, life really is a party! This post contains affiliate links. Thanks so much for supporting Life is a Party!